Below are listed a few technical remarks referring to the mesh generation routine applied to obtain a designed 3D mesh. 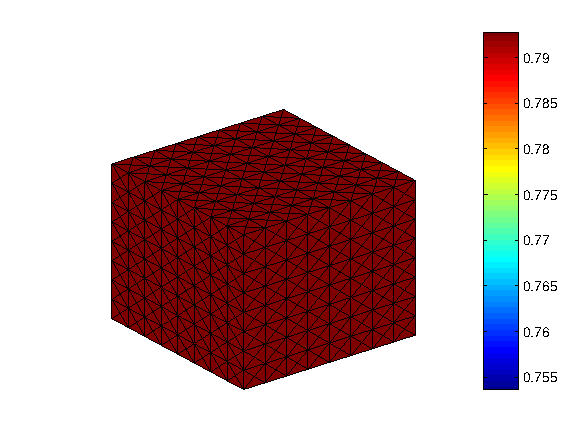 An initial mesh is built on the basis of main surface nodes (outer nodes) which define a figure's shape. The whole figure is considered as divided into perpendicular to z-axis layers. Thus the outer nodes are distributed on the edges of layers. In the center of each layer and also in the middle between two layers are located inner nodes. They are connected with outer nodes creating in this way the main figure's construction. 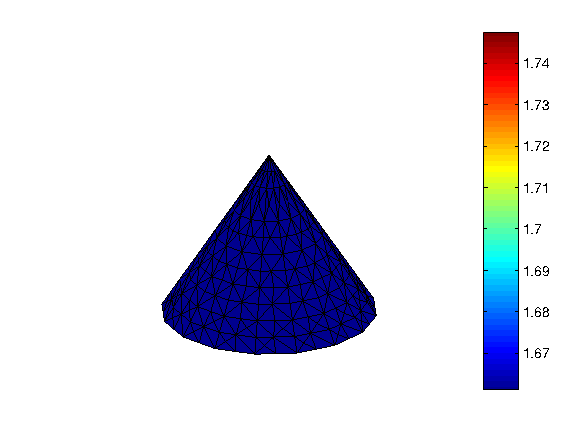 Initial mesh elements obtained in such a manner are of tetrahedral shape. The boundary of the figure is defined by set of surface equations for vertical and horizontal segment lines linking outer nodes. After each mesh iteration new nodes are created and labeled as outer or inner ones according to surface equations. Moreover, the location of each node (i. e. on which exactly vertical, horizontal line or surface patch the node is lying) is also stored. New elements are created by a division of already existing elements. 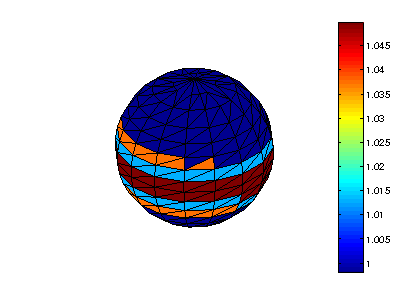 At the beginning of the routine, the surface of division mainly connects a new node born on the longest element edge with two other nodes belonging to that mesh element and one node from the divided edge. The procedure constitutes a 3D extension of the 2D mesh generation routine described already in mesh 2D. However, during the routine a number of small elements is increasing, and the division of the longest bar is not anymore the optimal way of proceeding. That is why, before choosing an edge to the division volume of elements common to it is checked. The edge that will not produce new elements having its volume smaller than an assumed critical volume is chosen to be cut. 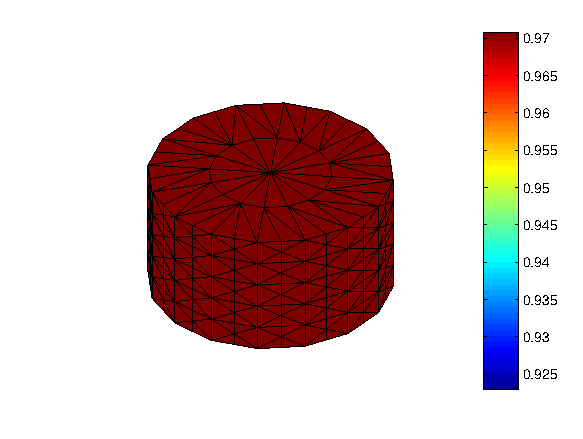 Non-optimized meshes obtained for different sets of outer nodes (resulting in different geometries) are shown in Fig.1. Fig. 1. The figure presents domains having four regular shapes (cubic, cylindrical, spherical and conical) obtained with the non-optimized routine. Colored bars show variations in final elements volume.